This being my first trip to Asia and South Korea being one of the first places visited during this trip, I couldn’t wait to visit the Haedong Yonggung Temple. 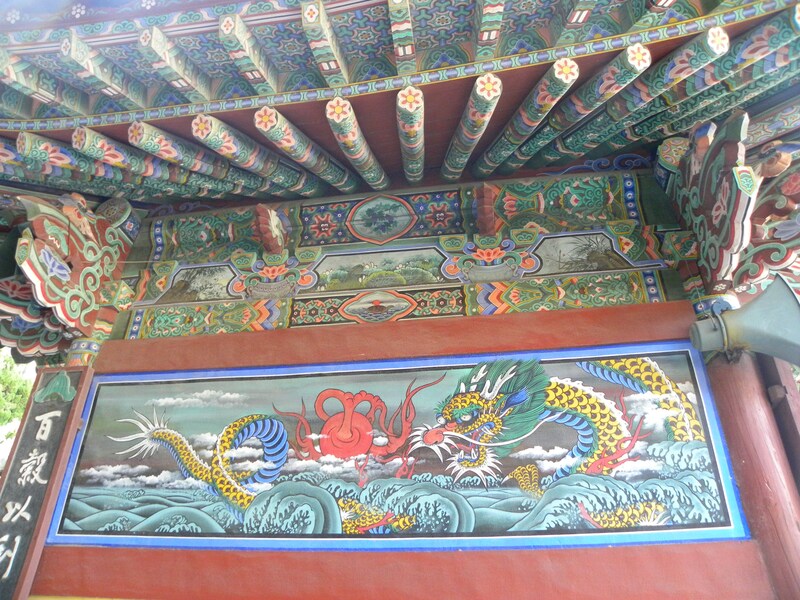 I did some research before traveling, so I knew that Haedong Yonggung Temple is not like any other in Korea. 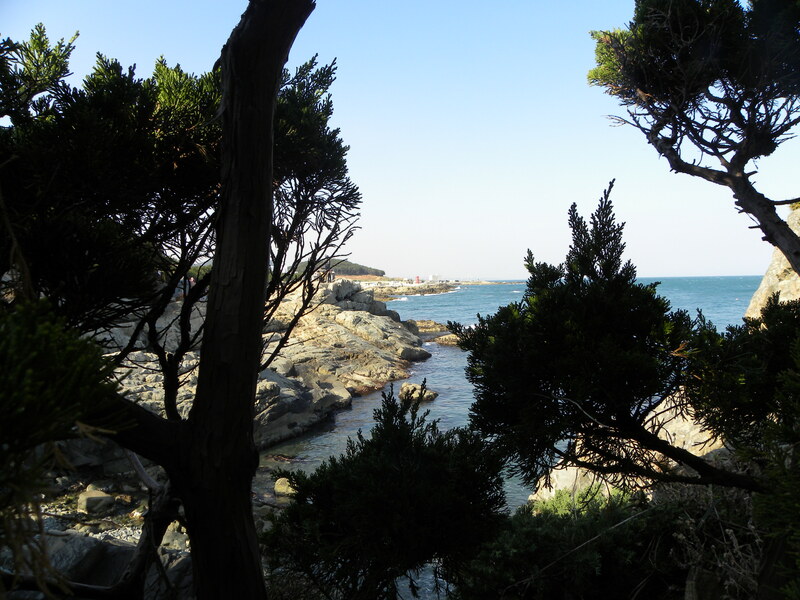 First of all, this temple is nestled along the coastline facing the sea. 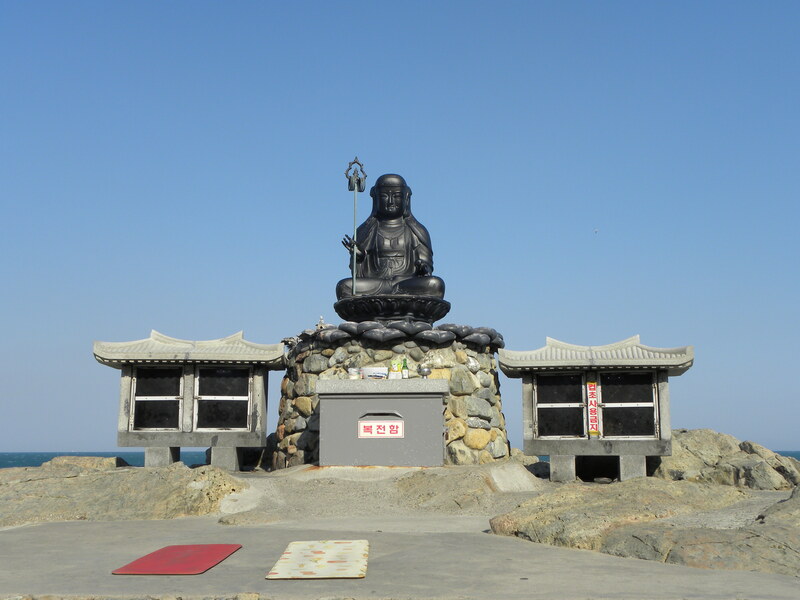 What makes it even more special, is that it was built in honor of the Goddess Buddha. 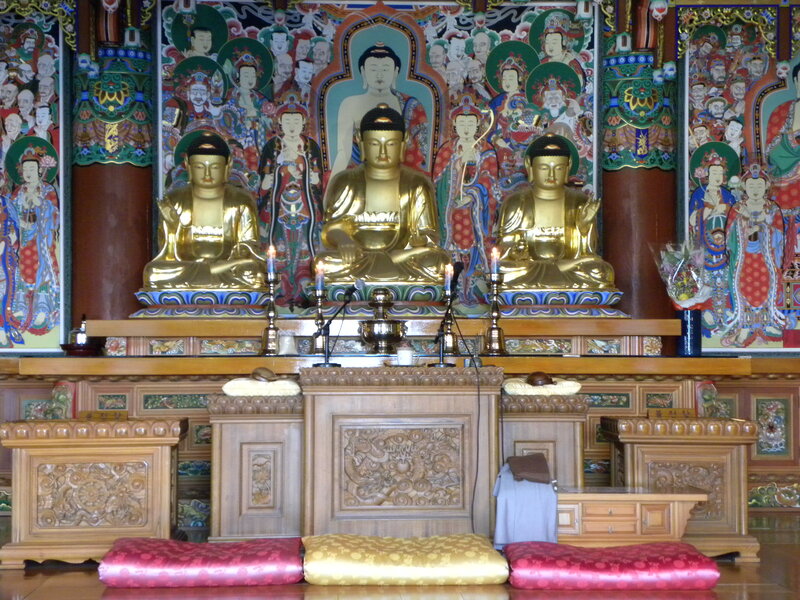 Haedong Yonggung Temple was founded by a monk, Naong, in 1376, during the Goryeo Dynasty. 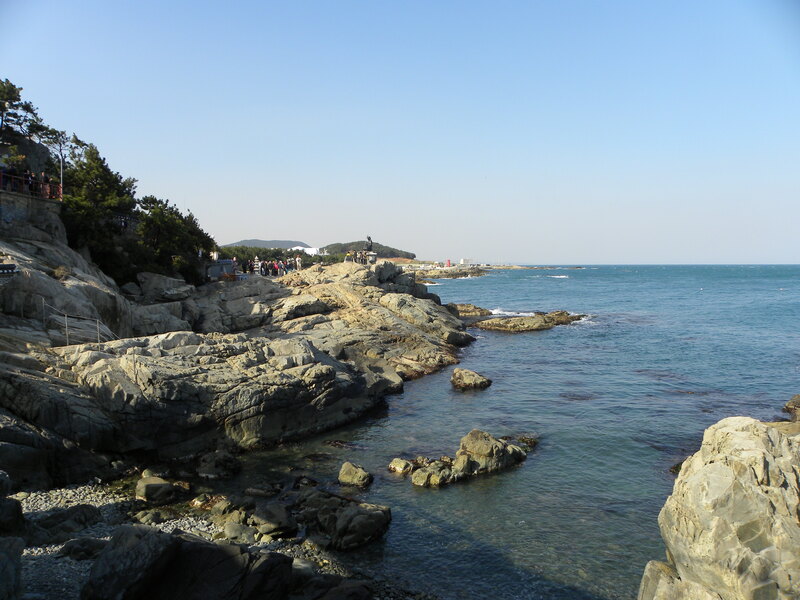 Legend has it that this area of current day South Korea had been hard hit by a draught, causing devestation to crops and resulting in a great famine. Because of their suffering, people resented the gods for not giving them rain. One day in a dream, a sea-god appeared to Naong, telling him to build a temple at the edge of the sea and pray there, and the hardships of the people would disappear. 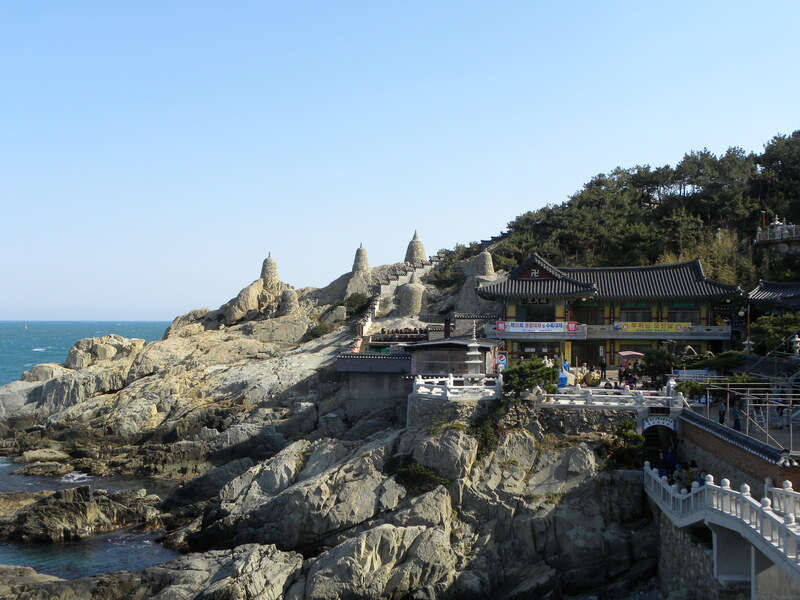 Soon after his dream, Naong visited the area where the Haedong Yonggung Temple is located and realized that it met the revelations in his dream. He built the temple to honor the Great Goddess Buddha, the rains came, the crops prospered and the people had food once again. To get to the temple, it is necessary to walk down 108 steps. The steps are lined on both sides with stone lanterns. The area surrounding the temple evokes peace. 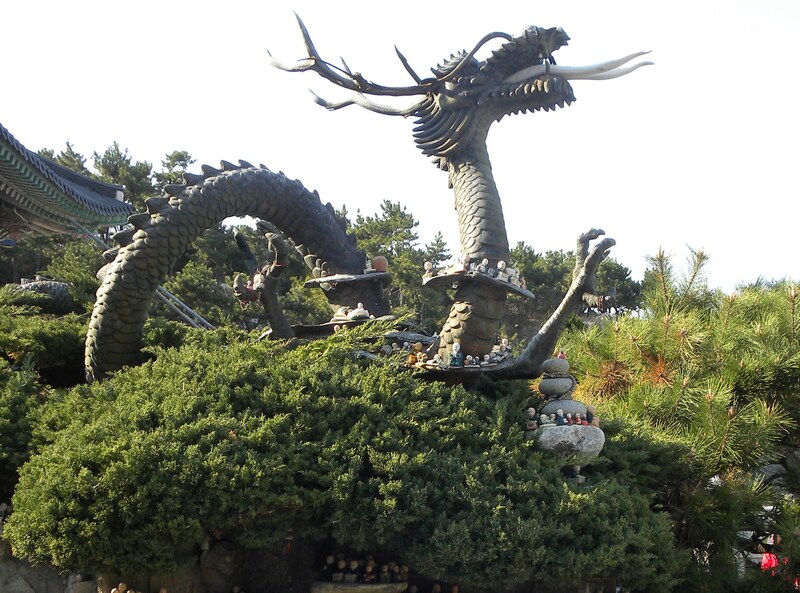 It is said that the dragon and the Great Goddess Buddha embody harmony here. It’s all so beautiful and colorful!